5 For thus saith the LORD YAHUVEH; We have heard a voice of trembling, of fear, and not of peace. 7 Alas! for that day is great, so that none is like it: it is even the time of Jacob’s trouble, but he shall be saved out of it. During his lifetime on earth, Ya’akov/Jacob faced obstacles throughout his life. Is there something we can learn from his life? The above song tells us the answer. He had a father who favoured his older brother, Esav/Esau; the one who came to hate him and wanted to kill him eventually. 28 Now Isaac loved Esau because he had a taste for wild game, but Rebekah loved Jacob. 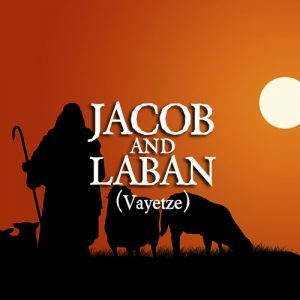 Ya’akov had to deal with a deceptive and treacherous father-in-law, Laban (also his Uncle) for twenty years. Ya’akov was tricked into marrying a woman whom he did not love (Leah). Ya’akov’s sons sold their brother, YAHusef/Joseph into slavery and led him to believe that YAHusef was slain by a wild animal. 13 So he stayed there that night, and from what he had with him he took a present for his brother Esau, 14 two hundred female goats and twenty male goats, two hundred ewes and twenty rams, 15 thirty milking camels and their calves, forty cows and ten bulls, twenty female donkeys and ten male donkeys. 16 These he handed over to his servants, every drove by itself, and said to his servants, “Pass on ahead of me and put a space between drove and drove.” 17 He instructed the first, “When Esau my brother meets you and asks you, ‘To whom do you belong? Where are you going? And whose are these ahead of you?’ 18 then you shall say, ‘They belong to your servant Jacob. They are a present sent to my lord Esau. And moreover, he is behind us.’” 19 He likewise instructed the second and the third and all who followed the droves, “You shall say the same thing to Esau when you find him, 20 and you shall say, ‘Moreover, your servant Jacob is behind us.’” For he thought, “I may appease him[c]with the present that goes ahead of me, and afterward I shall see his face. Perhaps he will accept me.”[d] 21 So the present passed on ahead of him, and he himself stayed that night in the camp. 22 The same night he arose and took his two wives, his two female servants, and his eleven children,[e] and crossed the ford of the Jabbok.23 He took them and sent them across the stream, and everything else that he had. 24 And Jacob was left alone. And a man wrestled with him until the breaking of the day. 25 When the man saw that he did not prevail against Jacob, he touched his hip socket, and Jacob’s hip was put out of joint as he wrestled with him. 26 Then he said, “Let me go, for the day has broken.” But Jacob said, “I will not let you go unless you bless me.” 27 And he said to him, “What is your name?” And he said, “Jacob.”28 Then he said, “Your name shall no longer be called Jacob, but Israel,[f]for you have striven with God and with men, and have prevailed.”29 Then Jacob asked him, “Please tell me your name.” But he said, “Why is it that you ask my name?” And there he blessed him. 30 So Jacob called the name of the place Peniel,[g] saying, “For I have seen God face to face, and yet my life has been delivered.” 31 The sun rose upon him as he passed Penuel, limping because of his hip. 32 Therefore to this day the people of Israel do not eat the sinew of the thigh that is on the hip socket, because he touched the socket of Jacob’s hip on the sinew of the thigh. While not always an exemplar of ethical behavior himself, Ya’akov can teach us about facing obstacles, of which we have many, for example the increasing Anti-antisemitism worldwide. Messianic Jews face hostility from both the traditional Jewish world and the church world. We don’t always grow in numbers as fast as we would like to. We sometimes lose people to traditional Judaism or Christianity. We sometimes despair that our movement is not growing in Yiddishkeit (a.k.a Jewishness) as we would like it to. In times like these, we can learn from how Ya’akov handled obstacles. “Yiddishkeit” means the quality of being Jewish; the Jewish way of life or its customs and practices. “Yiddishkeit” (Yiddish: ייִדישקייט‎ — yidishkeyt using the YIVO transliteration rules, yidishkayt in quasi-phonetic transcription) literally means “Jewishness”, i. e. “a Jewish way of life”, in the Yiddish language. It can refer to Judaism or forms of Orthodox Judaism when used by religious or Orthodox Jews. Ya’akov had a vision. 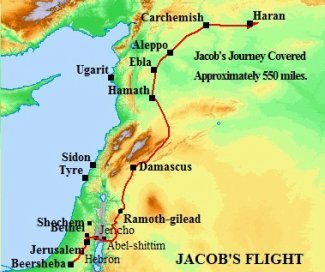 As Ya’akov was on his way to Haran (Abraham’s adopted/new father;s homeland) located in Syria (a.k.a Assyria), YAH Almighty appeared to him in a dream (a vision withina dream). YAH assured him of his protection (Genesis 28:12–15). YAH repeated the promise that he had made to Avraham/Abraham and Yitzchak/Isaac, his fathers however, YAH changed the promise a little. YAH promised Ya’akov that his descendants would be as numerous as the dust of the earth and that the nations of the world will be blessed through him. This vision of his future from ABBA YAHUVEH GOD Almighty gave Ya’akov the fortitude to venture off into unknown territory and an uncertain future. The text tells us that he arose early. He was energised by this YAH-given vision. 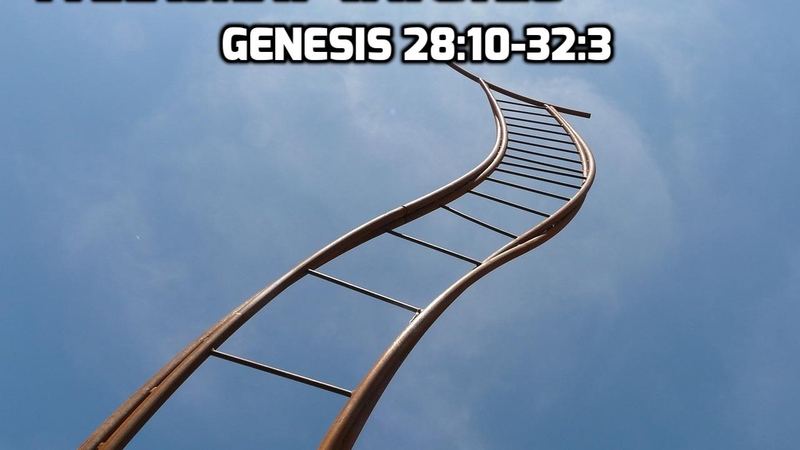 What very important event preceded the Dream about Ya’akov’s/Jacob’s Ladder? 11 And Jacob was very much afraid of his brother Esau, and he rose up and fled to the house of Eber the son of Shem, and he concealed himself there on account of his brother, and Jacob was sixty-three years old when he went forth from the land of Canaan from Hebron, and Jacob was concealed in Eber’s house fourteen years on account of his brother Esau, and he there continued to learn the ways of the Lord and his commandments. 13 And Esau dwelt in the land of Seir six months without seeing his father and mother, and afterward Esau took his wives and rose up and returned to the land of Canaan, and Esau placed his two wives in his father’s house in Hebron. 14 And the wives of Esau vexed and provoked Isaac and Rebecca with their works, for they walked not in the ways of the Lord, but served their father’s gods of wood and stone as their father had taught them, and they were more wicked than their father. 20 And at the end of fourteen years of Jacob’s residing in the house of Eber, Jacob desired to see his father and mother, and Jacob came to the house of his father and mother to Hebron, and Esau had in those days forgotten what Jacob had done to him in having taken the blessing from him in those days. 22 And Isaac the son of Abraham was old and advanced in days, and Esau said, Now my father’s time is drawing nigh that he must die, and when he shall die I will slay my brother Jacob. 23 And this was told to Rebecca, and she hastened and sent and called for Jacob her son, and she said unto him, Arise, go and flee to Haran to my brother Laban, and remain there for some time, until thy brother’s anger be turned from thee and then shalt thou come back. 25 Now therefore my son hearken to my voice, to all that I shall command thee, and refrain from taking a wife from amongst the daughters of Canaan; arise, go to Haran to the house of Bethuel thy mother’s father, and take unto thee a wife from there from the daughters of Laban thy mother’s brother. 29 And may God give unto thee and thy seed the blessing of thy father Abraham, and make thee fruitful and multiply thee, and mayest thou become a multitude of people in the land whither thou goest, and may God cause thee to return to this land, the land of thy father’s dwelling, with children and with great riches, with joy and with pleasure. 33 And Eliphaz did as his father had commanded him, and Eliphaz was at that time thirteen years old, and Eliphaz rose up and went and took ten of his mother’s brothers with him and pursued Jacob. YAHUVEH GOD says “dust of the earth” to Avraham and Ya’akov but says “stars of the sky” to Yitzchak as seen in the Holy Biblical Scriptures below, Why? 15 Then the Angel of the Lord called to Abraham a second time out of heaven, 16 and said: “By Myself I have sworn, says the Lord, because you have done this thing, and have not withheld your son, your only son— 17 blessing I will bless you, and multiplying I will multiply your descendants as the stars of the heaven and as the sand which is on the seashore; and your descendants shall possess the gate of their enemies. But Ya’akov did not rely solely on this vision from YAH. He also took the initiative to work towards his goals. He did not allow his Uncle Lavan/Laban to dictate the terms of his marrying Rachel, but offered to work for her for seven years. When he was tricked into marrying her sister, he did not fall into despair but picked himself up and worked towards his goal. When Lavan pressures him into staying, Ya’akov devised a plan to prosper himself. Ya’akov was even careful about how he approached his brother when he returned home. So it is with us. We have a YAH-given personal vision as well as other visions including that for a thriving community of Jewish followers of YAHUSHUA HA MASHIACH. We need to be strengthened and emboldened by this vision. Whenever we feel despair with our movement, we need to recall that ABBA YAHUVEH’S hand is in this and it will prosper. It may take longer than we would like to come to fruition, and there may be many hurdles along the way, but HIS Will shall be accomplished. But we should not sit idly by waiting for YAH’S Vision to be fulfilled. We can also strive to build our movement, as we are energised by the vision. We need to use our talents and energies to build towards the manifestation of the vision of that future. ….May add more information as time goes on…. 1 And Esau at that time, after the death of Abraham, frequently went in the field to hunt. 2 And Nimrod king of Babel, the same was Amraphel, also frequently went with his mighty men to hunt in the field, and to walk about with his men in the cool of the day. 3 And Nimrod was observing Esau all the days, for a jealousy was formed in the heart of Nimrod against Esau all the days. 4 And on a certain day Esau went in the field to hunt, and he found Nimrod walking in the wilderness with his two men. 5 And all his mighty men and his people were with him in the wilderness, but they removed at a distance from him, and they went from him in different directions to hunt, and Esau concealed himself for Nimrod, and he lurked for him in the wilderness. 6 And Nimrod and his men that were with him did not know him, and Nimrod and his men frequently walked about in the field at the cool of the day, and to know where his men were hunting in the field. 7 And Nimrod and two of his men that were with him came to the place where they were, when Esau started suddenly from his lurking place, and drew his sword, and hastened and ran to Nimrod and cut off his head. 8 And Esau fought a desperate fight with the two men that were with Nimrod, and when they called out to him, Esau turned to them and smote them to death with his sword. 9 And all the mighty men of Nimrod, who had left him to go to the wilderness, heard the cry at a distance, and they knew the voices of those two men, and they ran to know the cause of it, when they found their king and the two men that were with him lying dead in the wilderness. 10 And when Esau saw the mighty men of Nimrod coming at a distance, he fled, and thereby escaped; and Esau took the valuable garments of Nimrod, which Nimrod’s father had bequeathed to Nimrod, and with which Nimrod prevailed over the whole land, and he ran and concealed them in his house. 11 And Esau took those garments and ran into the city on account of Nimrod’s men, and he came unto his father’s house wearied and exhausted from fight, and he was ready to die through grief when he approached his brother Jacob and sat before him. 12 And he said unto his brother Jacob, Behold I shall die this day, and wherefore then do I want the birthright? And Jacob acted wisely with Esau in this matter, and Esau sold his birthright to Jacob, for it was so brought about by the Lord. 13 And Esau’s portion in the cave of the field of Machpelah, which Abraham had bought from the children of Heth for the possession of a burial ground, Esau also sold to Jacob, and Jacob bought all this from his brother Esau for value given. 14 And Jacob wrote the whole of this in a book, and he testified the same with witnesses, and he sealed it, and the book remained in the hands of Jacob. 15 And when Nimrod the son of Cush died, his men lifted him up and brought him in consternation, and buried him in his city, and all the days that Nimrod lived were two hundred and fifteen years and he died. 16 And the days that Nimrod reigned upon the people of the land were one hundred and eighty-five years; and Nimrod died by the sword of Esau in shame and contempt, and the seed of Abraham caused his death as he had seen in his dream. 17 And at the death of Nimrod his kingdom became divided into many divisions, and all those parts that Nimrod reigned over were restored to the respective kings of the land, who recovered them after the death of Nimrod, and all the people of the house of Nimrod were for a long time enslaved to all the other kings of the land.